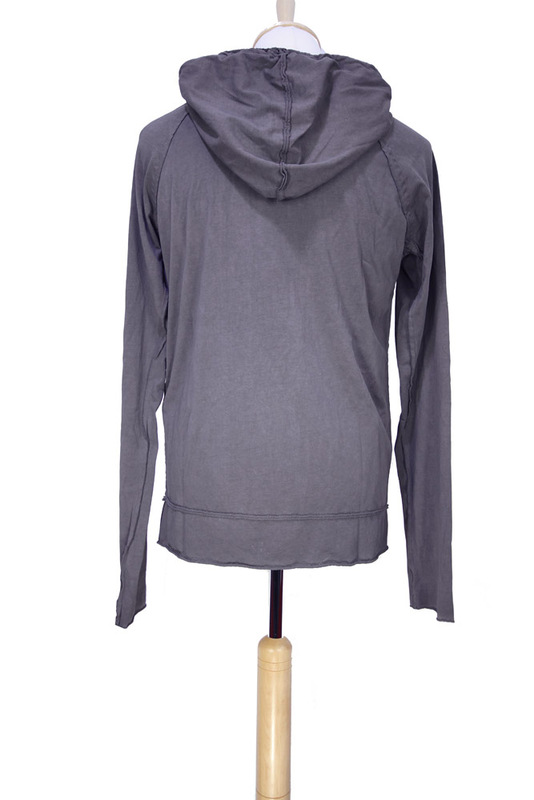 Rundholz Dip Collection for Men lightweight, stretch jersey zip, hooded jacket in moon crisp colour. Overdyed fabric. Hood with raw edge finish and rolled fabric drawstring. Double zip down front. Shoulder panel detail. Hem panel with rolled edged detail on hem and seams. Double pocket at front. Raw edged and rolled cuffs. Random scalloping detail down sides of zip. Black print on front. This is a great piece, lots of detail.